Awards Shows like the Oscars, VMAs, Golden Globes, the ESPY’s and The Academy Awards have brought out some of the biggest names in the music and movie industry. 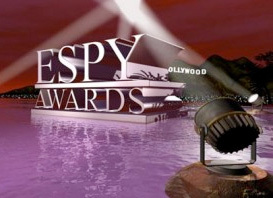 Many tune in to watch Hollywood Stars grace the stage to honor the incredible efforts of fellow celebrities and artist. Recently, a wider audience has been tuning in as award shows have been advertising guest appearances by athletes and sports anchors along with performances by professional sports dancer teams. Booking an athlete for an Award Show has been made easy as we simply take your budget along with your desired athlete and work with you on finding the right talent. If you are looking to book an athlete for your Award Show, contact our booking agents at 1.888.246.7141. >>> Book a Sports Celebrity for Your Next Awards Show.